From L-R: VW Mariano C. Bassig, DGL; VW Gabriel C. Comia, Jr., DGL; VW Heriberto D. Tiu, DGL; VW Bernardo F. Bondoc, DDGM; VW Ranon C. Cabal, DGL; VW Omar U. Obias, DGL; VW Virgilio C. Cruz, DGL. 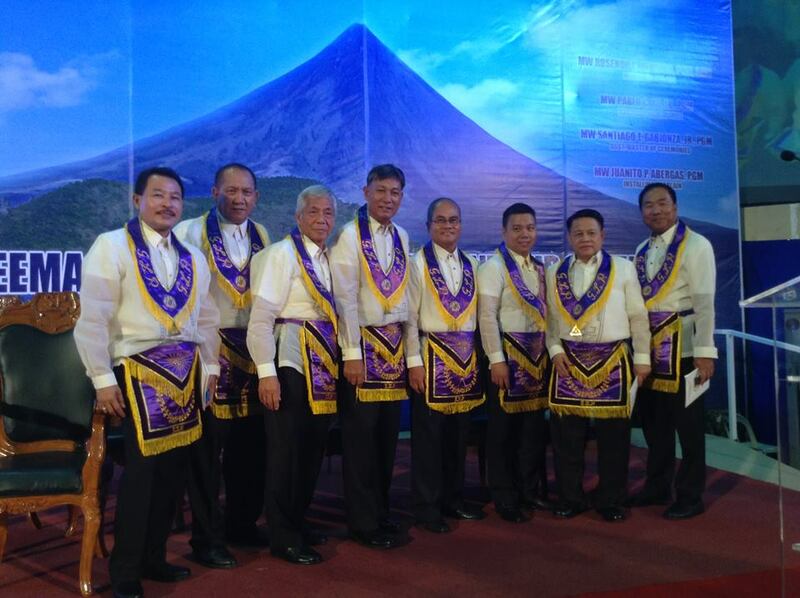 During the ANCOM 2015 held at Legazpi City, I was installed as one of the District Grand Lecturers of Masonic District NCR-G which is composed 12 lodges located south of Manila. I was appointed and assigned to be the Lecturer of two lodges who will give masonic education during the monthly stated meeting. 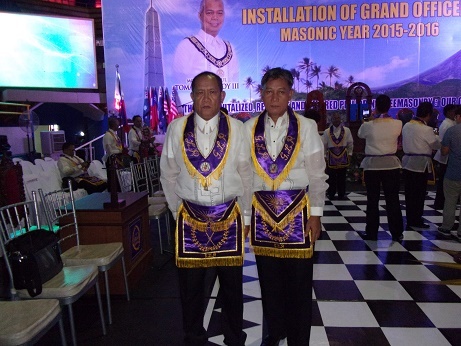 Another milestone in my masonic progress to impart the wisdom and interpret masonic teachings by the Grand Lodge of the Philippines under the leadership of Most Worshipful Tomas G. Rentoy III, Grand Master of Masons for the ensuing masonic year 2015-2016.
with VW Bernardo F. Bondoc, District Deputy Grand Master at ANCOM 2015, Legaspi City.